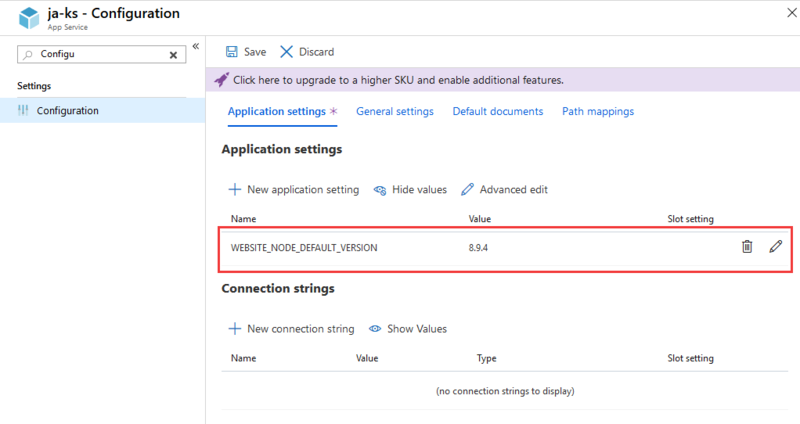 When deploying your .NET Core or Node application to Azure App Services, you may require a specific version of the .NET Core or Node runtimes being available. Here is how you can determine whether the required runtime version is available. In the Azure Portal, navigate you your Azure App Service. Search for and select “Advanced Tools” in the navigation sidebar. then click on the “Go” link. 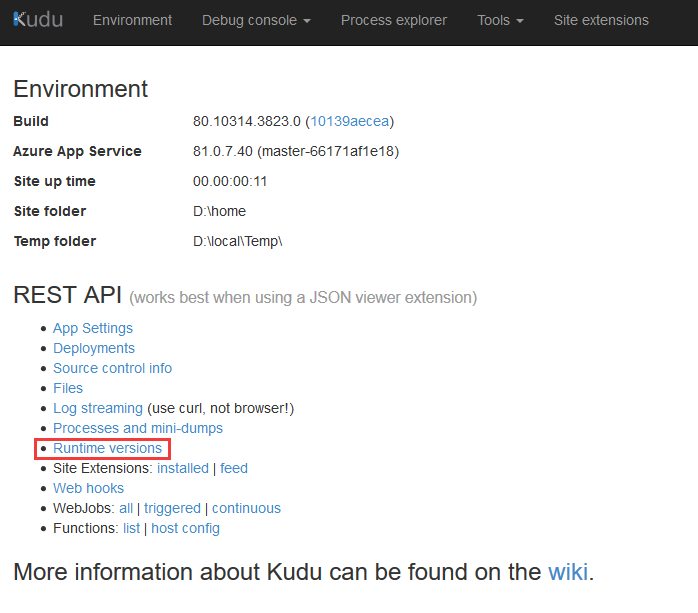 This will open the Kudu Service page. Click on the link labelled “Runtime versions”. If you want to specify a specific Node version for your website, you can specify it using the WEBSITE_NODE_DEFAULT_VERSION Application Setting. In the screenshot below, you can see that the Node version for this App Service has been configured to version 8.9.4.